This post is to guide you on how to create your own Salesforce practice environment, and do basic training. First you need to create your own Salesforce Developer account, where you can practice. PS: make sure to use your personal email here as your Username, since your business email will probably be linked to your company’s salesforce. Trailhead is a Free salesforce training platform where you can find training regarding all salesforce usage and configurations arranged by topic and competency levels. 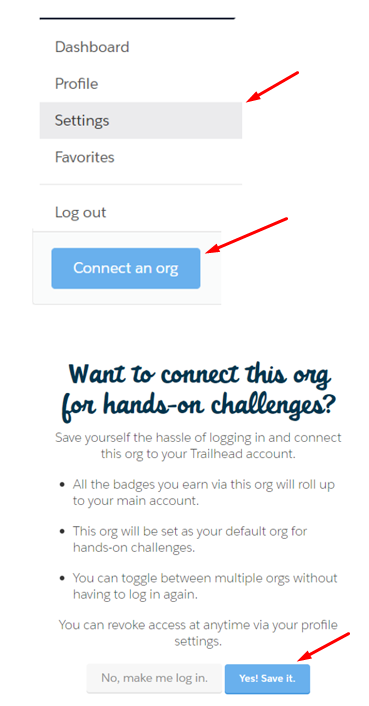 To be able to complete each training Exercise, you would need to link your Developer account to the Trailhead modules, so that you can do the training exercises and validate them. Love the developer content on your site!